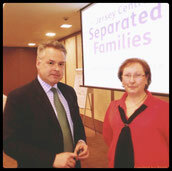 The Jersey Centre for Separated Families is a community organisation that works with everyone affected by family separation in order to bring about better outcomes for children. Our services are available to parents who are caring for their children alone, those who are sharing care and those who are not able to spend time with their children. Parents, carers, grandparents or anyone else with concerns about family separation are welcome.